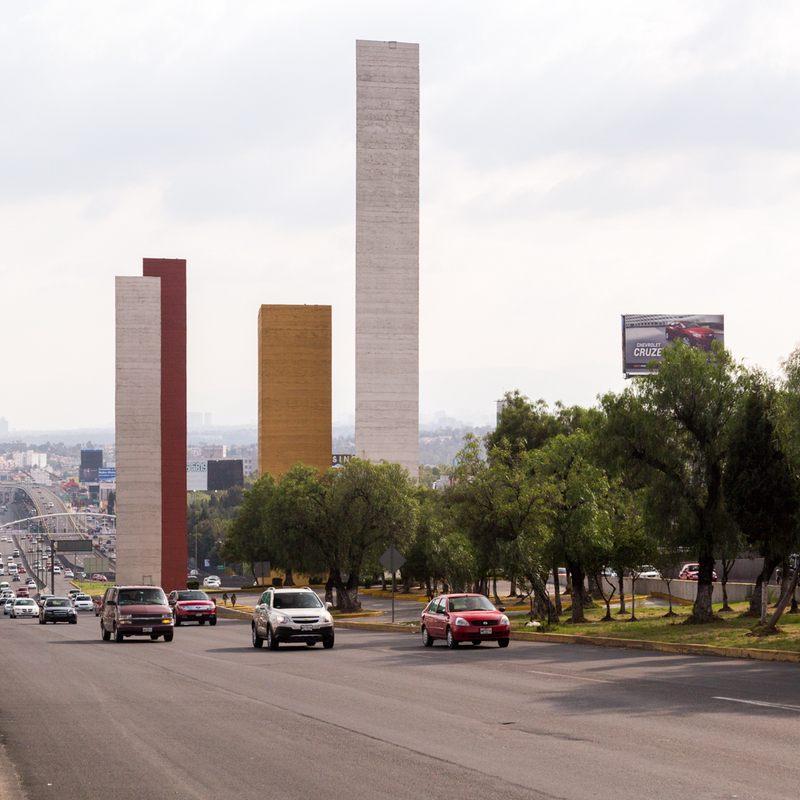 Mexico City, North America's largest urban area, continues to grow outwards. Its newest districts simultaneously reflect the city's uniqueness, and the face of developing — and suburbanizing — cities around the world. ¿Cómo parece la megalópolis de la Sigla XXI? 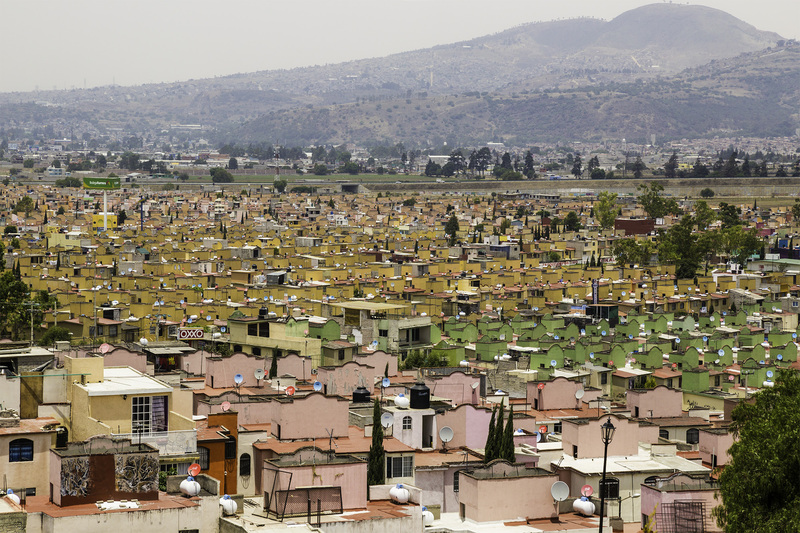 Mexico City is a space, constructed from buildings, lives, policies, and understandings. Its an agglomeration of ideals and visions, of interventions and negotiations. It extends across and beyond its various (and always inadequate) mapped representations: a dot on a globe, a governmental boundary, a polygon of ‘urban extent.’ In this extension, it is a prototypical 21st century city. Assembled within geomorphological constraints and legal frameworks, it represents the sum of 700 years of city planning. That all said, some 40% of its built area has sprung up since 1950, a timespan in which the city has grown from a capital city of 1.5 million people to a sprawling urban region of some 21 million. What was once a city in the center of a valley now laps up against the ridges of the bowl in every direction. A midcentury economic miracle and nearly incomprehensible numbers of migrants from la provincia have exploded as sense of the city’ demarkations. It is this social and physical phenomenon, this ongoing process of expansion that makes the city ripe for study. 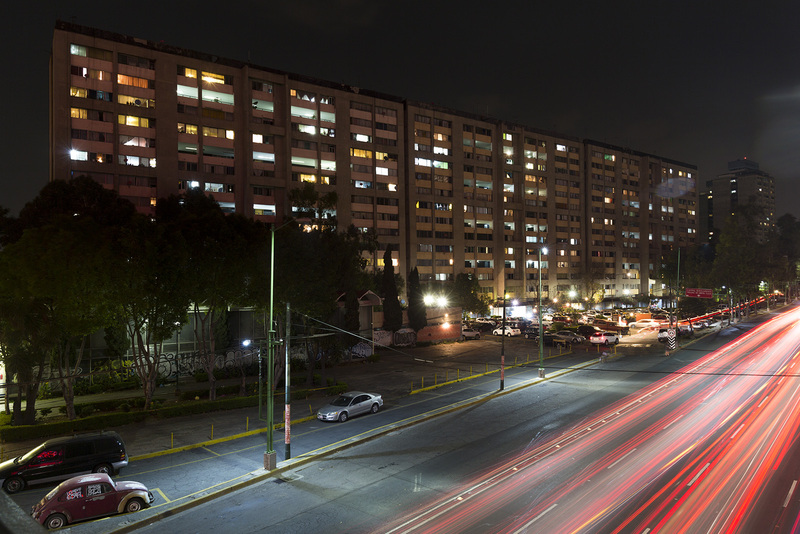 While the Distrito Federal’s 16th century core remains inhabited, and even on the upswing, it is increasingly irrelevant for the majority of residents. Indeed, since 2000 more residents in the metropolitan area live outside the central DF than within it. They live on the edges, though not necessarily on the margins. A radial belt drawn around the city can simultaneously condo towers, country-club estates, illegal concrete-block homes on hillsides and in dry lakebeds, and blankets of subsidized tract homes. The edges of the city, variously defined, have come to replace the core, if not necessarily in economic or political power, then in the sheer amount of daily lived experience. Mexico’s path to this contemporary start is unique and storied. But in many ways, too, it is typical of a global phenomenon. The oft-discussed tip from a majority-rural to urban population on earth is sometimes linked to discussions of millennials bidding up rents in San Francisco or New York. In actuality, though, its in places like Coacalco and Ixtapaluca that this transition is truly taking place, where these numbers are really adding up. And the neighborhoods, both formal and informal, that are lumping themselves onto the mass of Mexico City are in many ways the same as those in Cape Town, Istanbul, and Rio de Janeiro. 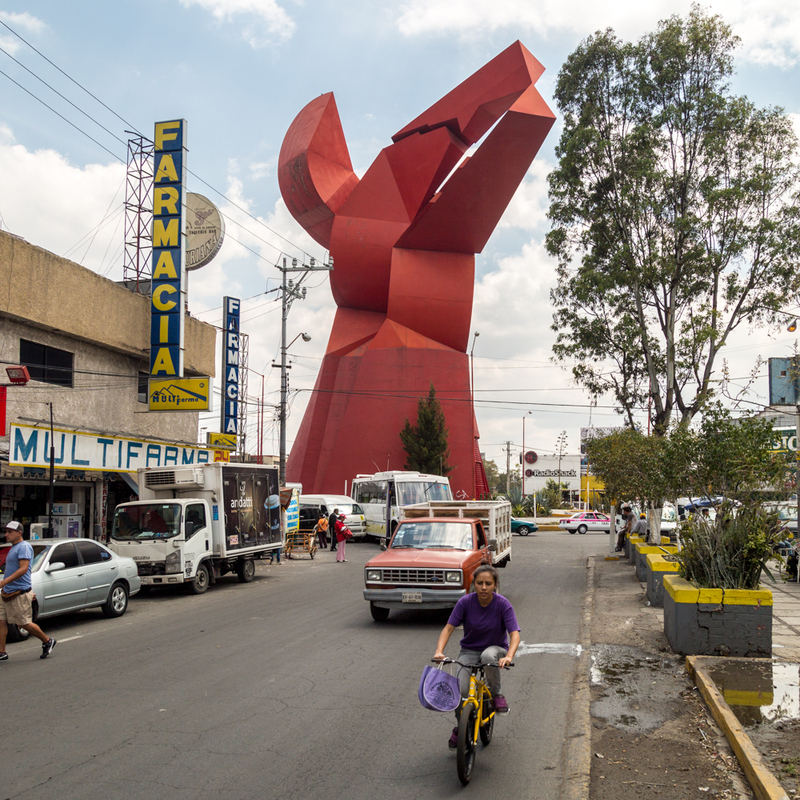 Developed simultaneously in the early stages of Mexico City's midcentury suburban expansion, the perceptions of Satélite and Neza are today two of the most divergent in the metropolis. While they are formally and culturally distinct, their histories are strikingly similar, and serve to elide the supposed gulf between formal and informal planning in the city. For a time, Mexico's government aggressively pursued publicly funded and constructed developments. Many of these were proudly modernist, master-planned urban renewal projects. Tlatelolco, the most famous of this mid-century moment, vividly provides an image of an alternate future of housing in the capital. For a time, Mexico's government aggressively pursued publicly funded and constructed developments. Many of these were proudly modernist, master-planned urban renewal projects. Tlatelolco, the most famous of this mid-century moment, vividly provides an image of a alternate future of housing in the capital. 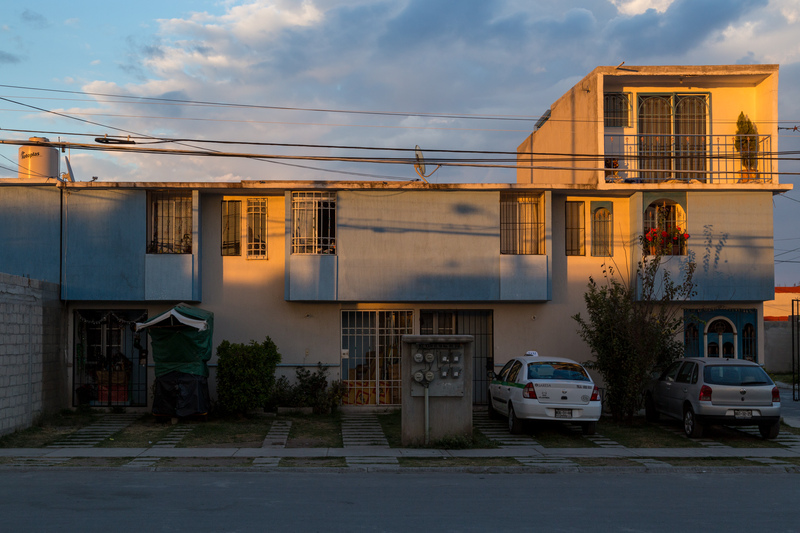 A first hand perspective of living in an INFONAVIT-funded development in the northern reaches of Mexico City's sprawl. 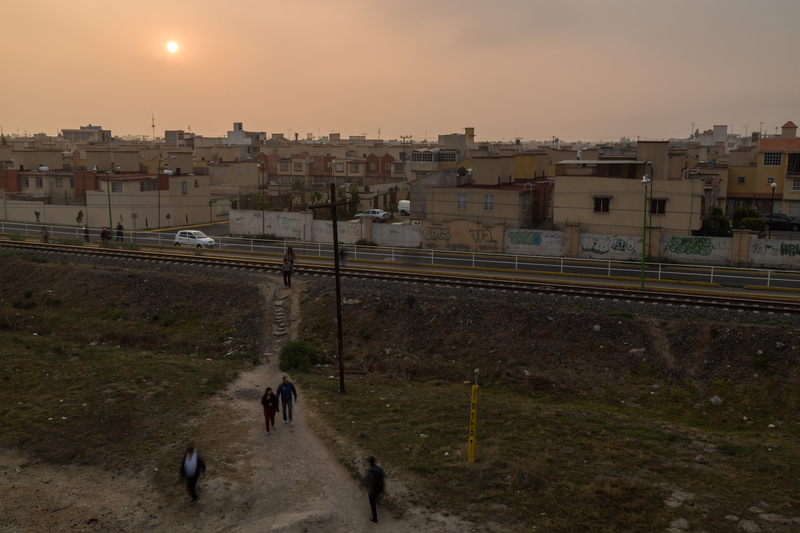 Funded as part of the inaugural group of Fulbright National-Geographic Storytelling Fellows, La Ciudad Actual seeks to capture a sense of Mexico City's suburbs in the contemporary moment, and to construct a history of the city rooted in its explosive 20th century growth.